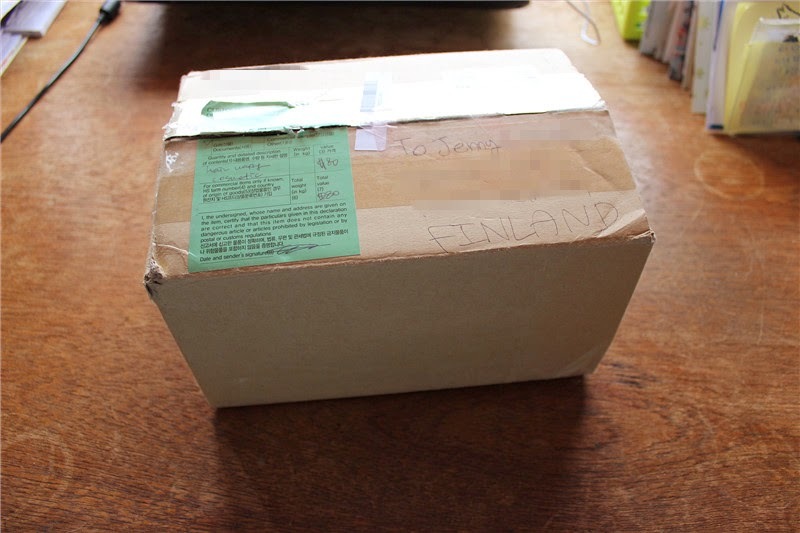 Firstly this packet arrived already three days in advance from my Finnish penpal friend! "Open on 13.3." 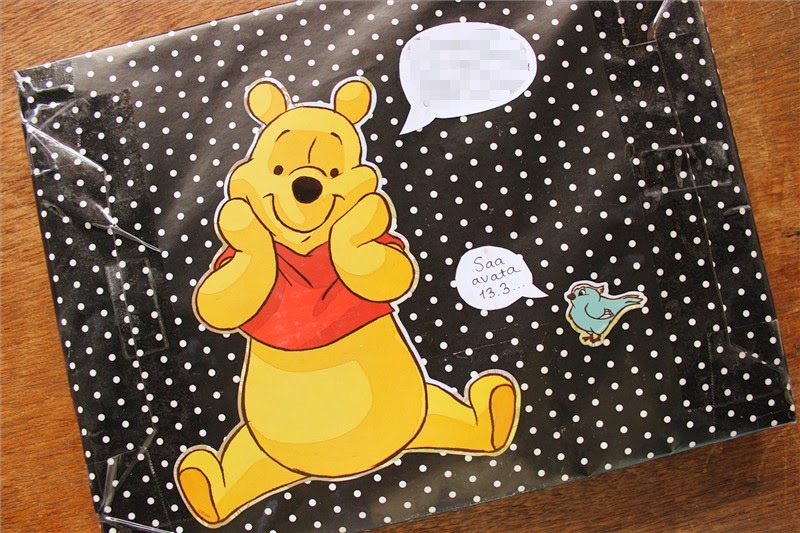 oh boy you can't imagine how hard it was to resist unwrapping the packet earlier! 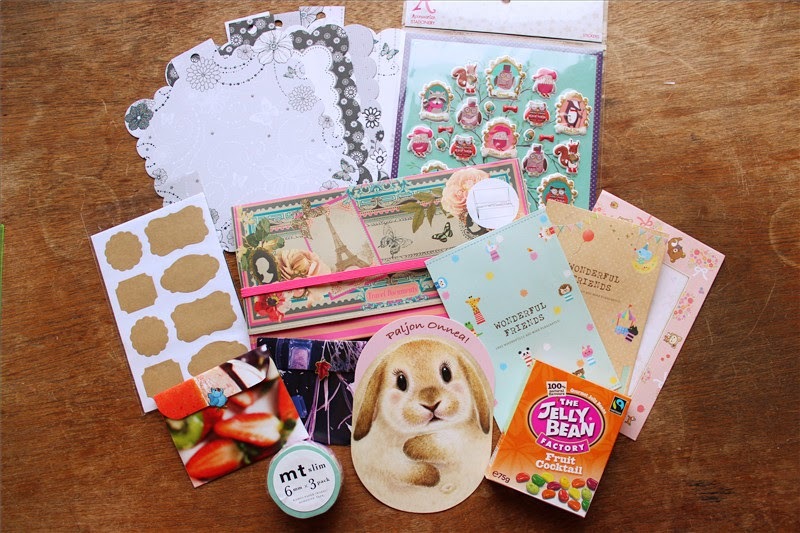 This packet was such a nice surprise from her and I didn't expect her to send me anything at all! 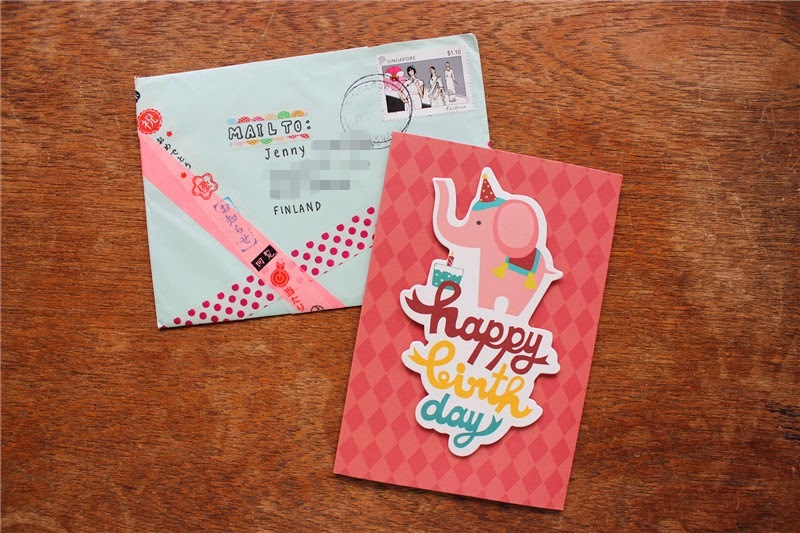 My Singaporean penpal sent this adorable elephant birthday card to me! 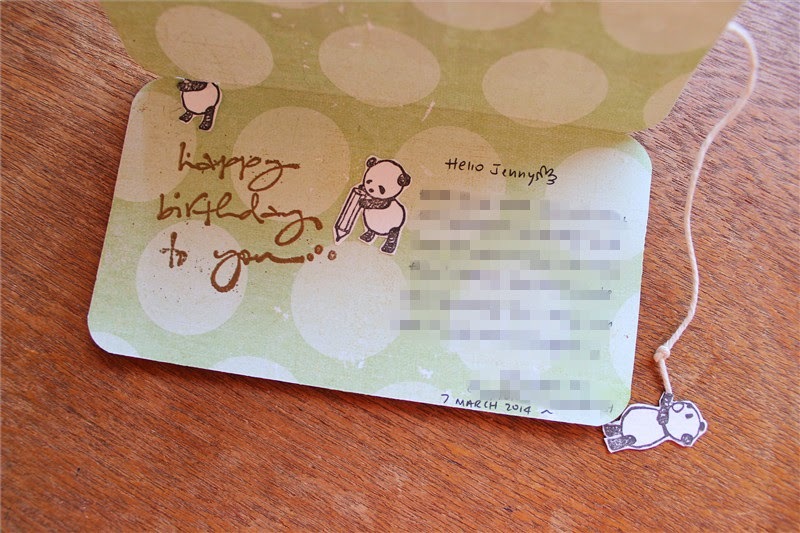 This small packet arrived to me day after my bday. 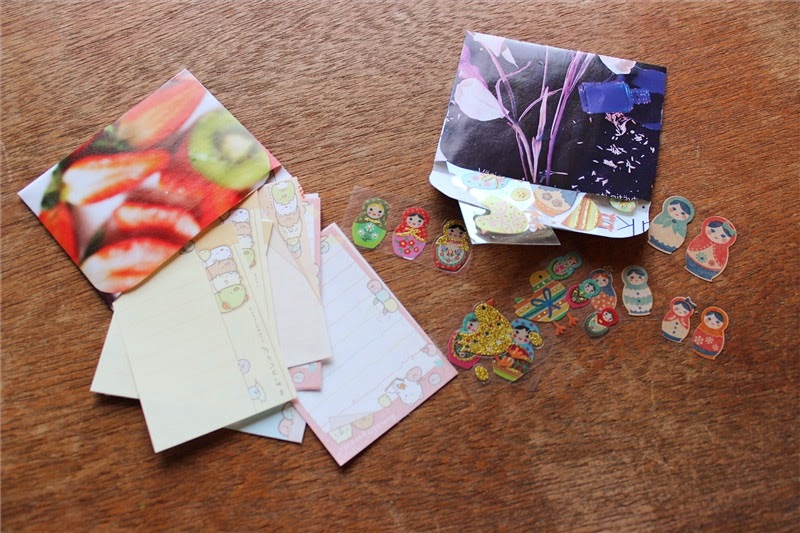 It came from my frequent postcard-swap partner in Singapore! 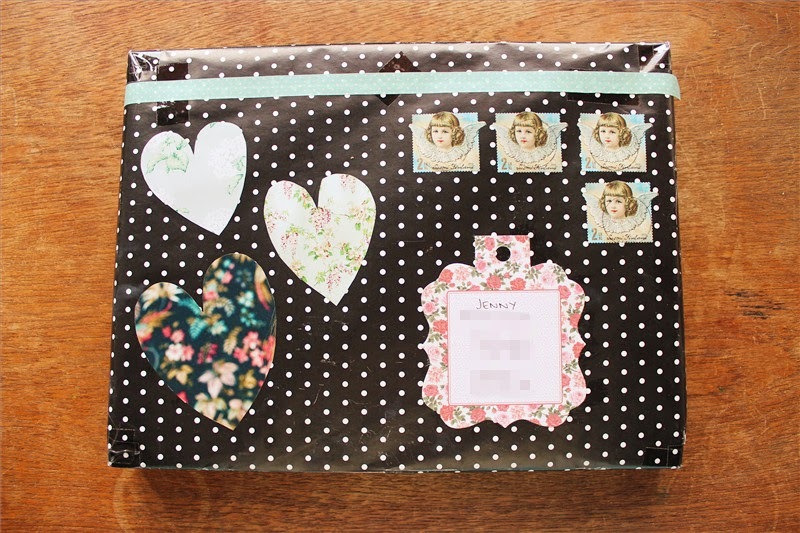 She had told me earlier that a packet was on its way to me so I was looking forward to it excitedly! 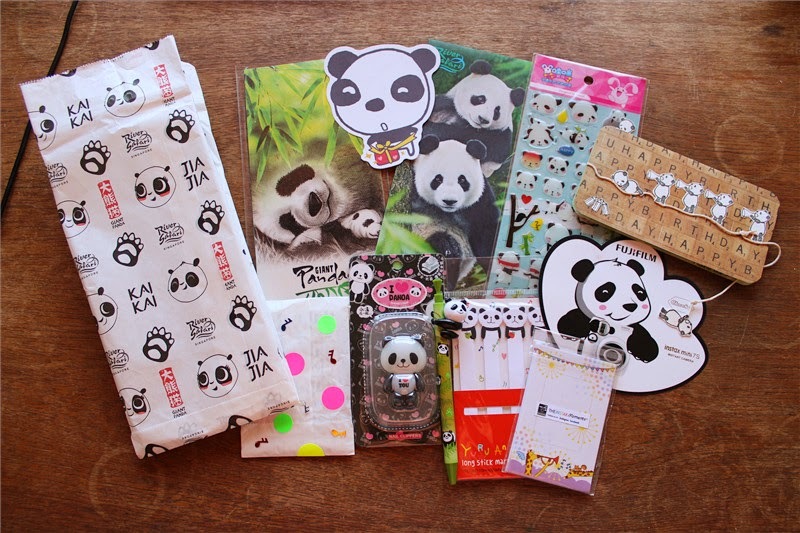 The packet was filled with panda! Very adorable bday present and I love everything very much !! 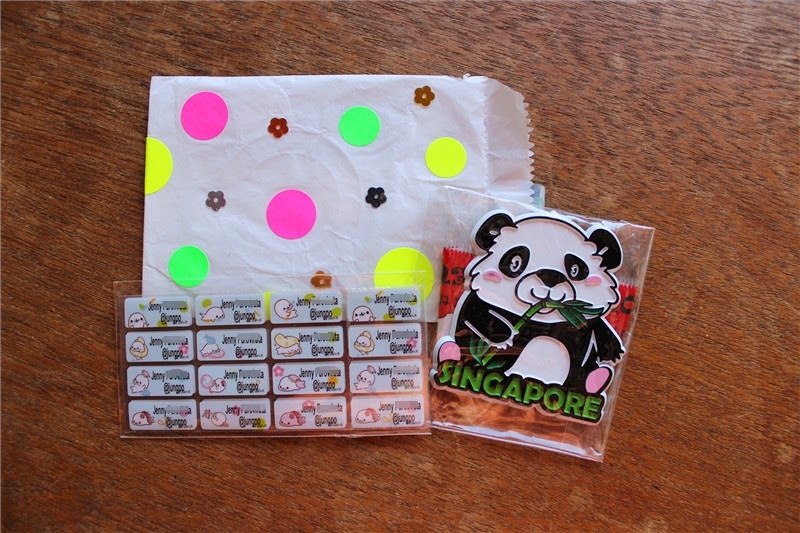 Inside this small bag was my name stickers and panda magnet. 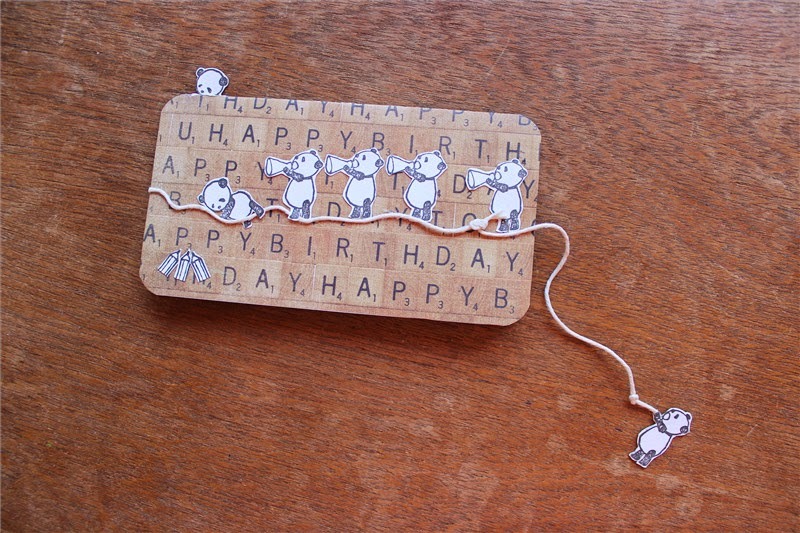 Isn't this card adorable? It's handmade by her! 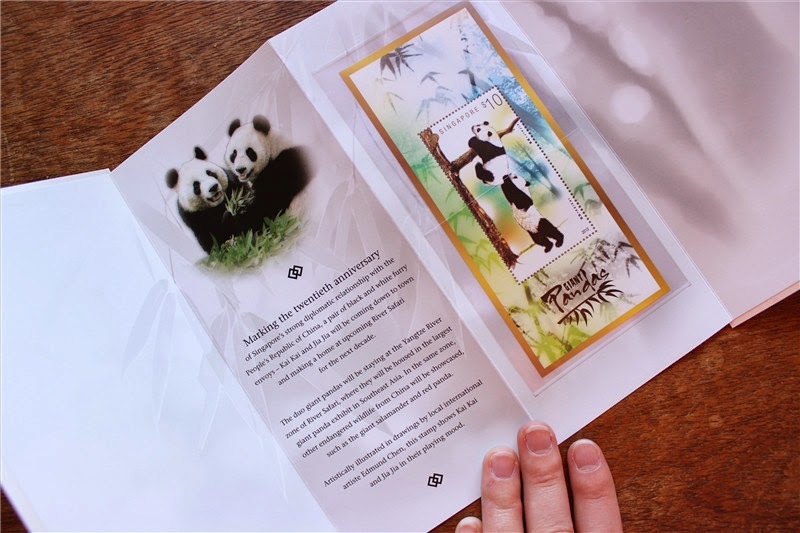 Stamp about Kai Kai and Jia Jia pandas >w< They were sent to Singapore zoo from China to celebrate the two countries' good diplomatic relationship. 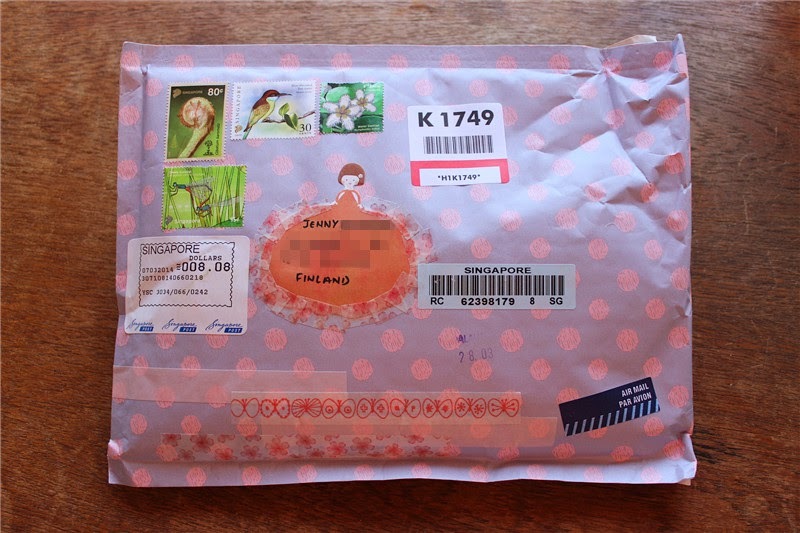 Lastly this packet arrived from South Korea, sent my by sweet penpal. 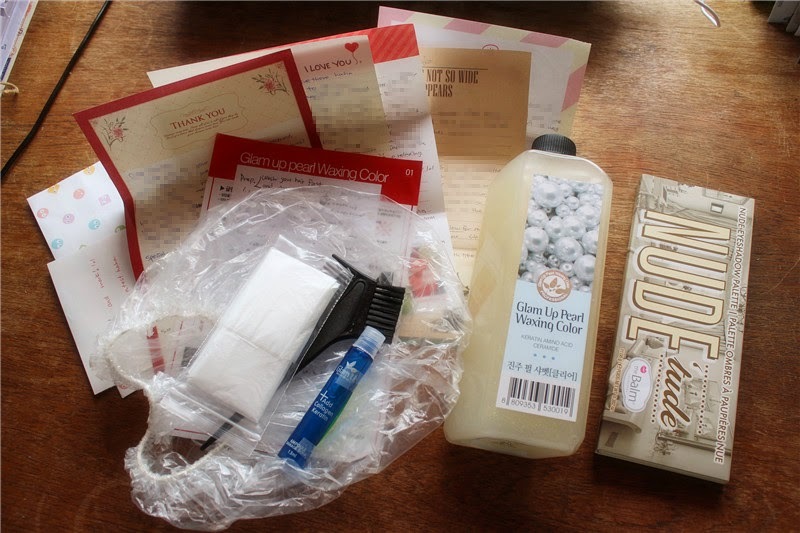 She sent me a long letter, Waxing Color for hair(honestly the best product I've ever put on my hair!) and an eye shadow palette. 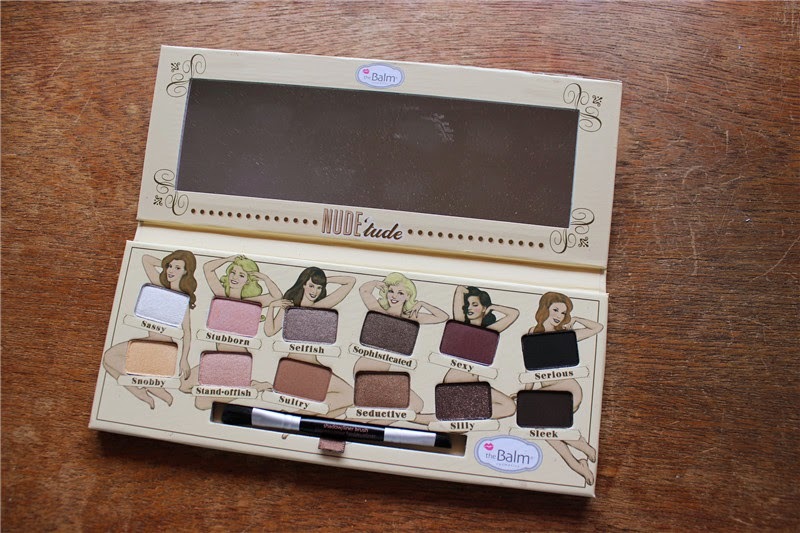 Actually just few weeks ago I saw this palette on the Internet, and I really liked it so I added it to my "to buy list". So it happens that my friend sent the exact one to me now! What a coincidence, right!